SilverSingles is a leading dating site that matches +50 Canadian singles with other unattached men and women from their area. This platform is based on a matchmaking algorithm that connects senior daters taking into account their personality test as well as their romantic interests and demographic information. In just a few years, the site has earned a good reputation amongst highly-educated mature singles in the search for a new chance in love. 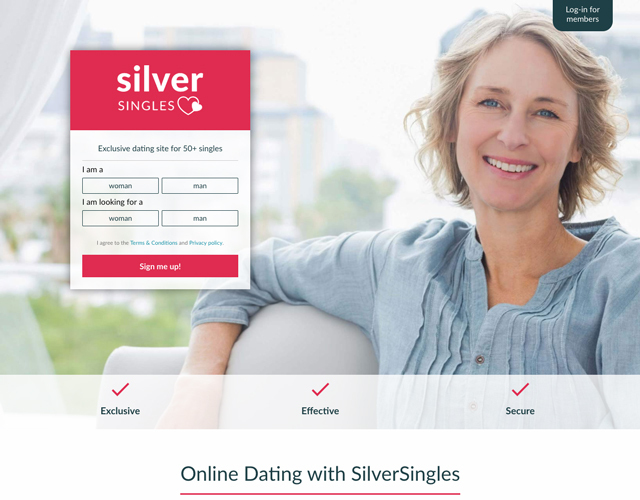 Currently, thousands of Canadians daters over 50 choose SilverSingles over other senior dating sites to find a potential partner online or companionship. Registering in SilverSingles is completely free! To start with, you need to create your profile and solve a questionnaire that will later be used to connect you with potential matches. The test consists of a series of questions that explore different traits of your personality, and determine your romantic profile. After solving the personality test, you can fill your profile by adding relevant details about yourself, and a few photos to attract other interesting singles from your area. SilverSingles’ dating experts consider your test results to present you compatible matches. You will receive between 3 and 7 potential partners suggestions every day! You can also venture yourself to look for your soulmate on the platform by using the advanced search tool where you can filter your criteria by, among other options age, location, religious beliefs or education level! To connect in private with another interesting +50 single, you would need to get a subscription. As a Premium member you will benefit from several extra features like sending unlimited messages to any user from the platform. It is recommended to consider first the matches proposed by the platform as it the easiest way to find someone who shares the same values and expectations. To provide you with a fair SilverSingles’ review, we want to give you as much details about the sites’ unique matchmaking system. The personality test by SilverSingles is based on the popular “Big Five Factor” which measures your personality taking into account five dimensions. The results then are used to present you potential matches: men and women over 50 who seek a long-term partner, and who are highly compatible with you! Knowing your ideal partner: You first will be asked a few questions about how your desired partner would exactly be, and what traits search in a soulmate: from specific age, height, ethnicity or appearance to your potential companion’s particular education and intelligence level. Knowing how you socialize and behave in specific situations: You will be asked to select how you make time for others, how overwhelmed you feel in difficult situations, how you treat others: if you are very helpful for example. Also other details about your personality: are you and adventurer or do you prefer to plan things in advance? Do you like to engage on conversations or prefer to be a passive conversationalist? If you like to analyse problems or if you prefer others to solve them. The idea is to discover if you are more passionate, extroverted and decisive or if you are more relaxed and dependant on others. Your style: You then will be asked to describe yourself by selecting how different profiles apply or not to you. You will be able to give details about your physical appearance, and your personality type: from aspects like if you are athletic or not to features as ambition, loyalty, trust, creativity, self-awareness or spontaneity. In here you will also be asked to choose a few words that you think your best friends will select to describe you best! Basically, a way to show how you think the closest to you perceive you. Your daily habits: To end the personality test, you would need to tell about your habits: if you are a smoker, and if you are a social drinker, for example. You will be finally asked about your expectations inside a relationship: if you want to have kids in the future, and if you see yourself moving out with your potential partner! Results: After completing your affinity test, you can see a short report with details about specific traits of your personality like how extraverted and open you are when interacting with others or the way how you deal with intense emotions. Dating apps like Tinder usually are more popular amongst younger daters, but SilverSingles app has become a must-have for many senior singles. The matchmaking app is available for Premium users and can be downloaded for both iOS and Android. SilverSingles app offers the best desktop features while you are on the go. You can easily edit your profile and connect with other singles over 50 from your mobile or tablet. The app is very intuitive to use and includes just the necessary tools to create your profile and to interact with other interesting mature single men and women from all over Canada. Solve the personality test: You can complete the questionnaire that then is used to connect you with potential matches while on the move. Create and edit your profile: You can add basic details, include your interests and add some photos. Receive partner recommendations: Once you finish the test, you will also be able to see your daily matches (3 to 7 potential partners per day). Read and send private messages: You can visit other users’ profiles, and get in touch with other like-minded +50 singles living in any corner of Canada. SilverSingles has position itself as one of the most trusted dating communities online for mature singles from all over Canada. We tested the service and discovered that the site’s unique matchmaking system is quite precise in connecting senior daters with similar interests. 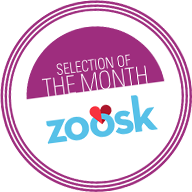 The personality test is a great tool to save you time searching for our perfect match! You can enjoy features for free in SilverSingles. As a user with a basic account you can create your profile, add some photos, and view some potential profiles. You can also solve the personality test, receive a list of matches on a daily basis, and search for potential partners. However, to get in touch with other singles you would need to upgrade to a Premium membership. SilverSingles offers a wide range of Premium packages, so you can select the right one for you! You can try the Premium services for periods of 3, 6 or 12 months. Prices vary depending on the subscription period, and even that subscription fees are billed on a monthly basis, the longer your subscription is, the cheaper it is. You can enjoy from unlimited access to all features, and connect with other sophisticated senior singles by just $.23.95 per month. Discretion is a must when you search for a partner online. This is why SilverSingles takes your privacy very seriously. All your sensitive data like your email address, passwords or other personal information is treated confidentially. The dating site uses a security system that encrypts your data, and a Fraud Detection System to ensure the high quality of the platform. There is a team of dating experts that check and verify every profile manually, so you only connect with singles who are genuine about their profile and intentions of searching for a long-term relationship. If you have any doubts about how the site works or want to know more about the different features or subscription plans, you can reach the customer service team by email at [email protected] or send a fax to +49 30 991 949 5 32. Closing your account in SilverSingles in fast and easy. Just click on “My Account” option from the top menu, and then go to “My Membership”. There you will find the option to unsubscribe. Click on the corresponding link to delete your profile. Before closing permanently your account, you will be asked to fill a short form telling the reason why you don’t want to continue using its services. You will also need to add your email address, and password to verify the cancellation. How to cancel your Premium subscription in SilverSingles? Subscriptions in SilverSingles are automatically renewed. If you, for whatever reason want to stop using its Premium services, you would be required to cancel it by going to “My account”, and then “My Membership”. Then, simply follow the steps you are asked in the section. SilverSingles is a dating service that has a lot to offer to those Canadian senior singles who search for a long-term partner, friendship or companionship. Its unique matchmaking system is very useful as you don’t need to spend hours for a potential date. The site does the job for you! You will only need to answer a few questions when registering, and create a dating profile, and you instantly will receive partner recommendations based on your interests and personality type. SilverSingles app is also a very handy option if you want to meet other like-minded senior singles anytime, and anywhere! 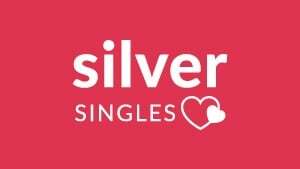 As we mentioned in this SilverSingles review, if your goal is to connect with hundreds of mature singles in your area who share the same life values and romantic expectations or meet someone special to embark on a serious relationship, then you will find plenty of opportunities in SilverSingles.